My journey with nutrition and its direct impact on health began when I was a collegiate athlete struggling with serious digestive issues. Doctor after doctor, no one had any explanations for me, they told me I was very healthy, and sent me on my way with a prescription. I was seriously confused how they could say that I was healthy when it was becoming routine for me to go over one week without a bowel movement. I didn’t feel healthy and it certainly didn’t add up. Yes I was thin and active and my health markers were good, but my body wasn’t functioning as it should! Feeling extremely frustrated, I began researching on my own and started to discover just how much what we eat affects so many aspects of our health! I was also very disappointed that none of the slew of doctors that I saw ever mentioned anything about my diet and how important that was. From that point on, I never stopped learning all I could about nutrition and health. After graduation I found myself in the corporate rat race. My undergraduate degree was in finance and accounting and while my career in that field was successful and prestigious, I was not fulfilled in the least. I knew I needed to make a change to a career that I was passionate about and for me that meant health, nutrition, and sports. I spent the next seven years re-educating for the new career while continuing to work in the old one. 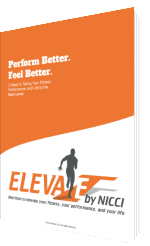 Now I help runners, triathletes, and fitness enthusiasts understand their own health and make changes that improve both their health and their performance. For those of us who are athletes at heart (and I know you are! ), the ability to continue competing and improving is priceless. My business has evolved quite a bit since it first launched in 2012. Over the years I’ve added more and more services to support athletes where I saw the need and help them learn more about themselves and their physiology. In the quest for continuous improvement, individuality can make all the difference, so offering metabolic, sweat, and genomics testing gives a lot of insight into where to focus. One of my latest offerings, mindset training, also came about based on the need I saw in the athletes I worked with, but it wasn't something I initially set out to offer. When I first launched ELEVATE, I hired a business coach to help me stay on top of my goals. She would often say that having your own business is like getting a PhD in personal development, and I couldn’t agree more. In any situation where success is important to you and the undertaking is outside of your comfort zone, all of your stuff comes up. All of the insecurities you didn’t even know existed along with that little nag called negative self-talk comes up fast and in your face where you can’t ignore it. So you have two choices: face it head on to move forward or try to ignore it and beat it back down to wherever it came from. Once a quarter, all of the women working with this coach got together in NYC to spend 3 days together working on their businesses and learning from each other. During that time, when my stuff started surfacing, I befriended another woman in the group and shortly became intrigued by her work. Her business was designed to help entrepreneurs deal with their stuff in a quick and effective way. The more I learned about it, the more I knew I needed her help even though I was never really clear on what the method was. I knew I didn’t want to struggle through some of these roadblocks, and I was open to an easy new way! Once I did start working with her, I never looked back. It was one of the best decisions I’ve made and continue to use her services today. I came to understand the method and then over time learned how to do it for myself and with others. While it wasn't my intention to bring this work into my practice, but it just organically started happening. In working with clients on nutrition, weight loss, and sports goals, I see a lot of mental and emotional roadblocks that pop up in trying to achieve what they want. So, when I see the need, I offer this solution. It turns out the idea of not continuing to struggle has great appeal. So great that I’ve even had some clients who began working with me on nutrition transition into all sessions devoted to this roadblock or mindset work. I have found this solution to be invaluable for continuing to move forward in life and sport. Now I offer it as a stand alone service for those that recognize their need and the benefits of it. Learn more here. It’s important to me to always remain a student and to never believe that we know all about any one subject. There is so much still left to uncover about the human body. Isn’t that crazy? It’s our vessel, yet we know so little about it. I do my best to stay up to date with current research and technology, so I’m sure there will be more new service offerings in the years to come. 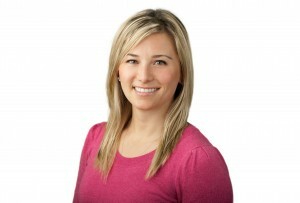 Nicci is truly passionate about physical activity, health, and the magnificence of the human body. She has been a competitive athlete since an early age, and through the years she has excelled as a gymnast, swimmer, diver, runner, and most recently (since 2004) as a triathlete. Giving back and having impact in community are as important to Nicci as helping people improve their health. ELEVATE donates 10% of all profits to charity. Girls On The Run, Challenged Athletes Foundation, The Children’s Fund, Planned Parenthood, The ELLE Foundation, and Molly Bears are some of our ongoing beneficiaries. Nicci started her nutrition studies at the Institute for Integrative Nutrition in NYC and is a certified holistic health coach (CHHC) by the American Association of Drugless Practitioners (AADP). She has a diploma from the International Society of Sports Nutrition (Dip.ISSN) and is a certified sport nutritionist through the ISSN (CISSN). She is a certified Metabolic Efficiency Training™ Specialist Level II (METS II) under Bob Seebohar and has completed various certifications with the Sports Science Institute of South Africa. She is also a board certified massage therapist (NCTMB – National Certification for Therapeutic Massage and Bodywork) and a NY state licensed massage therapist (LMT) with an additional certification in prenatal massage. She is an active member of the Gold Coast Triathlon Club in Hoboken, NJ and in her spare time she tries fun new things like improv and knitting.